RED is getting the ground ready for their HYDROGEN ONE multi-use device by announcing that their RED Tools app will be available in Google Play for the very first time as a free update. 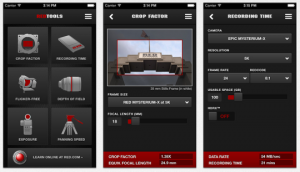 A multipurpose digital tool kit for fine tuning and simulating your RED camera rig, RED Tools comes with a host of cool utilities including Crop Factor, Recording Time, Flicker-Free Video, Depth of Field, Panning Speed and Exposure. 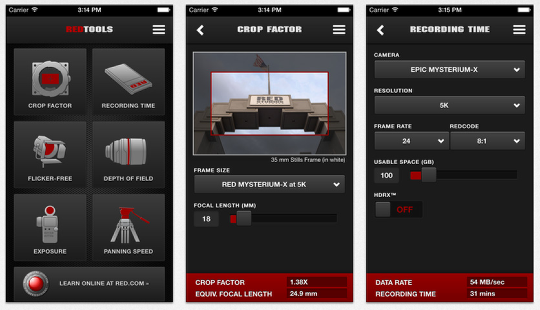 Through Crop Factor, users can insert the focal length of the lens they are using on their RED, as well as the sensor size and get a preview of what the image will look like before even rolling a frame of video. Recording time enables the camera operator to input based on data rate and card type, so you can determine just how much recordable media to stock up on for the day’s shooting schedule. Flicker-free video lets you dial in the shutter speed and frame rate in order to keep your video image flicker free under any lighting conditions. Depth of Field calculator – Preview a shot and see what the depth of field will do with any aperture and lens combination. Adjust other camera settings when your exposure settings have to be changed according to lighting conditions. 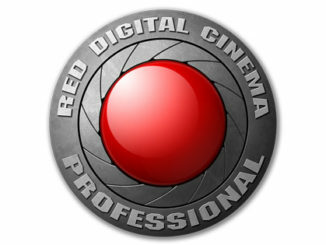 Example usage scenarios include when a higher frame rate needs to be used for slow motion, when the T-stop has to change for depth of field, or when the shutter angle has to change to minimize flickering in artificial light. But the new version also offers a new light and dark mode, to adjust viewing based on your current lighting conditions. The App also supports 11 different languages, including English, Simplified Chinese, Traditional Chinese, Japanese, Spanish, Italian, German, French, Netherlands, Portugese, Russian. 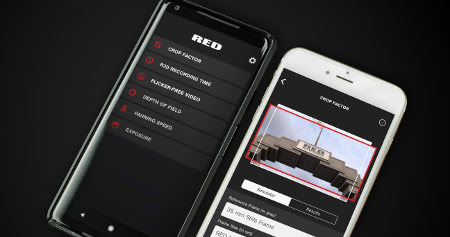 The app is also compatible with RED’s DSMC2 and older DSMC camera systems, with each tool fully customizable based on your RED camera and sensor type. 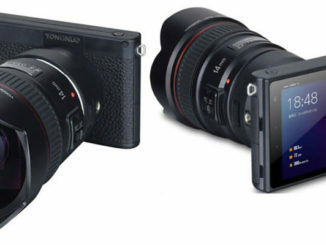 The company even adds standard film formats for comparison. It’s going to be interesting how many apps make the move to Android once RED’s HYDROGEN ONE makes its big splash next year. Android is actually more popular worldwide, but it’s been lagging behind in the production industry world, due to widespread iOS acceptance. It also means developing an app for different variations of Android. But it could only be a matter of time a seed change takes place with more popular Android devices, like Samsung’s Galaxy series. And RED Tools may be leading it. The app is available on the iTunes App Store for the iPhone and iPad, and for the first time on Google Play for Android devices.